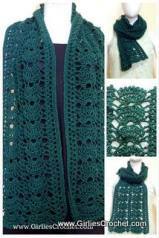 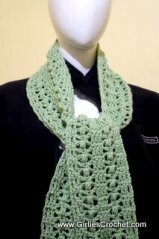 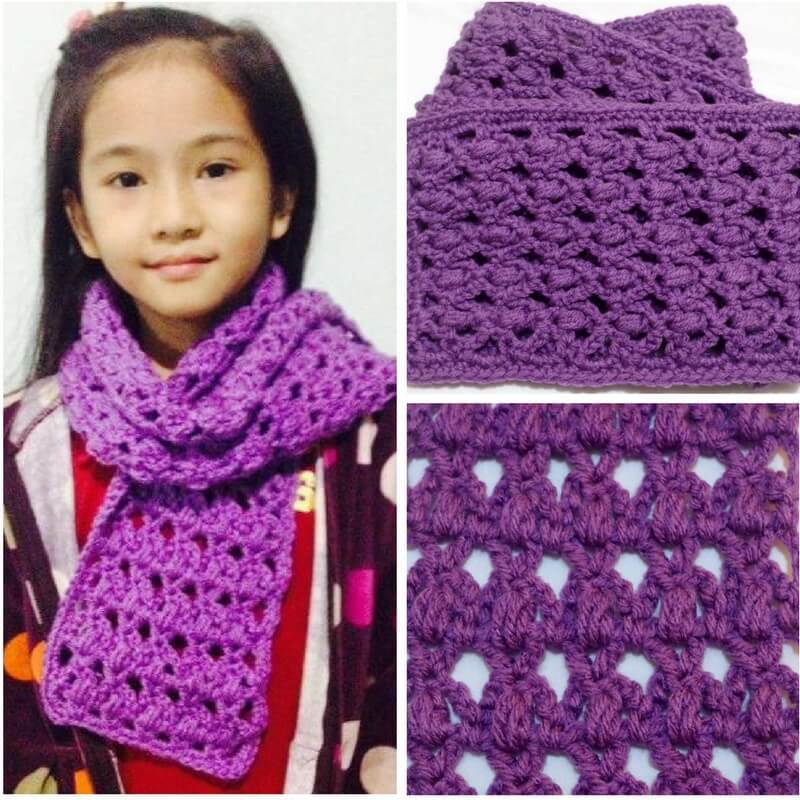 This is a free crochet pattern for Rosary Crochet Scarf. 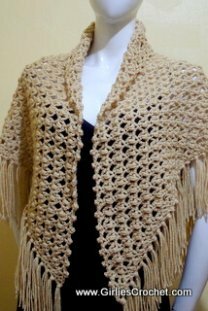 A new spin on a familiar stitch that created the Rosary Prayer Shawl. 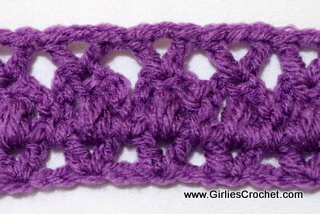 This pattern has a multiple of 3 sts plus 7 sts for turn. 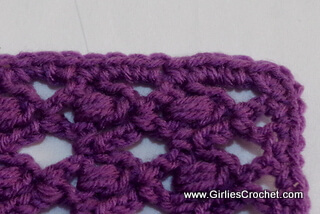 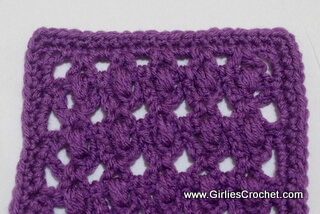 The stitch I used to make the Rosary Prayer Shawl is the same stitch here. 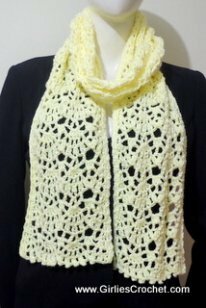 The Rosary Prayer Shawl is triangular shaped whereas this scarf will be a long rectangular shape which can be versatile in use. 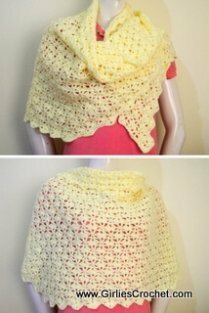 A slight modification in size, making it wider , a wrap can be created. 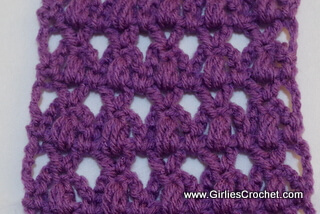 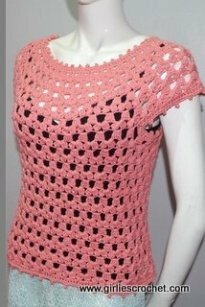 This pattern is just a 2 row repeats. 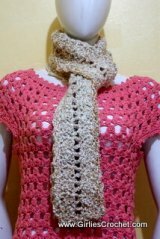 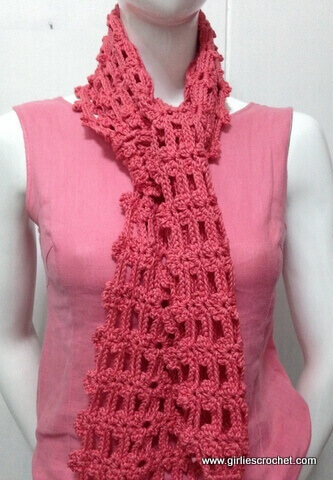 The size of this crochet scarf is 5 1/2" x 63". 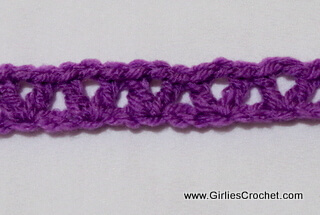 Puff Stitch: Yarn over (yo), insert hook in 1 ch space of v-st, yo, draw up a long loop, [yo, insert hook in the same space, yo, draw up a long loop] once more, (7 loops on hook), yo, draw up a loop through 6 loops on your hook, yo, draw up a loop through remaining 2 loops on hook to close. 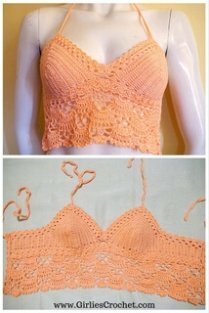 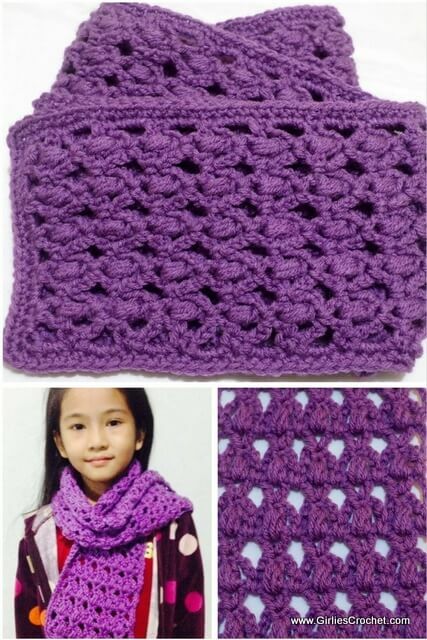 Puff Stitch made. 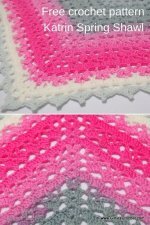 V-st: Dc, ch1, dc in specified st.
Row 1: Ch 20, v-st in 6th ch from hook, [sk next 2 sts, v-st in next st] across, sk next st, dc in last st.
Row 2: Ch 1, turn, sc in the same st, ch 3, puff in next v-st, ch 3, [sc in sp bet 2 v-st, ch 3, puff in next v-st, ch 3] across, sc in last dc. 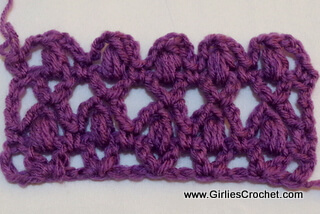 Row 3: Ch 4, turn, sk next 3 ch sp, [v-st in next puff, (sk next 3 ch sp) twice] across, trc in last sc. 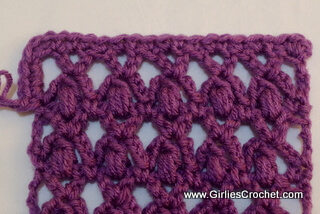 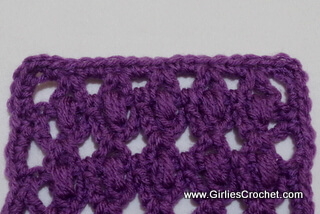 Row 4 -79: Repeat row 2 & 3 (or until desired length of your scarf), continue to edging. 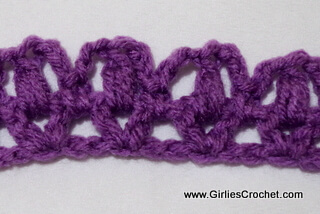 on the other side, 2 sc in next dc post, rep *to* once more, sl st in 1st sc to join. 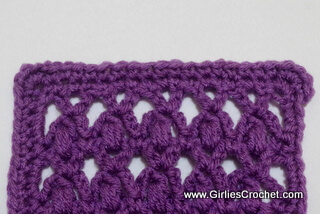 Row 2: Ch 1, sc in the same st, sc in each of next sts around but having 3 sc in 4 corners, sl st in 1st sc to join.